• PLOT SUMMARY: When someone is targeting the lucky for death, it won't take long before the luckiest X-Man, Longshot, is in the killer's sights. But things quickly go from bad to worse as super heroes, villains, all of S.H.I.E.L.D. and even COSMIC ENTITIES have it out for our boy! 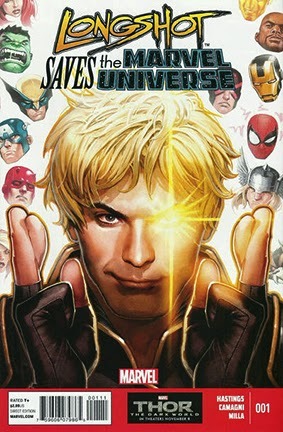 Is Longshot finally in over his head, or can he beat the odds and save the Marvel Universe when no one else can? (W) Christopher Hastings. (A) Jacopo Camagni. (CA) David Nakayama.